Not only did British film historian John Kobal (1940–91) have a great collection of pictures of Hollywood stars, he also wrote books about film photography, curated shows of great portrait photographers, and, a year before he passed away, set up the John Kobal Foundation to continue his good work after he was gone. Since 2012, the John Kobal New Work Award has supported the yearly commissioning of portraits of important figures from the British film industry from young photographers, for the National Portrait Gallery’s permanent collection. 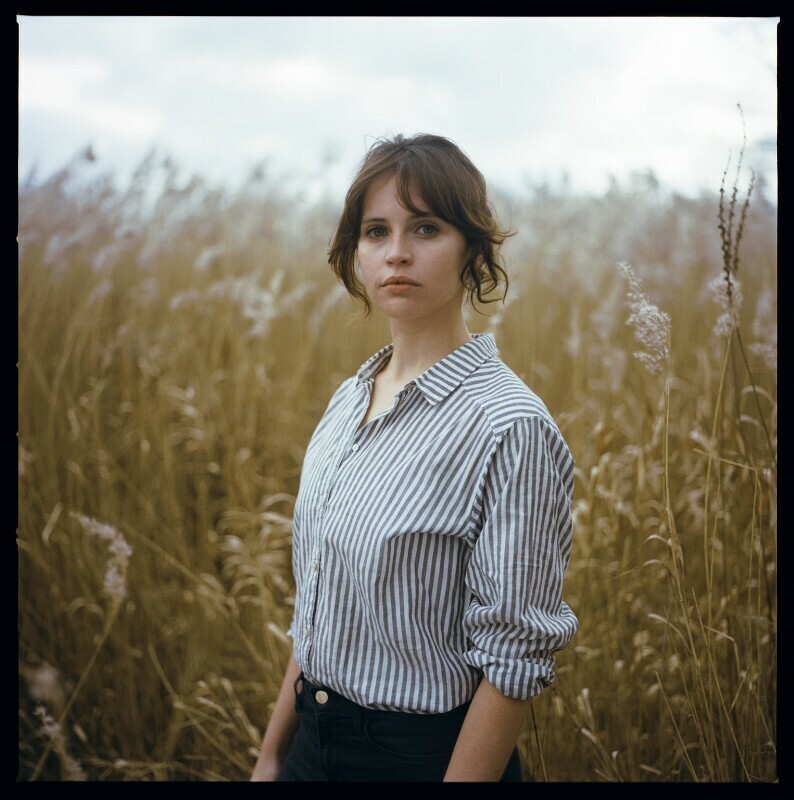 And the most recent of these commissions are on display right now: you’ll see cinematographer Roger Deakins shot by Josh Redman; ‘This Is England’ actor Jack O’Connell shot by Slovakian photographer Tereza Červeňová; and, new for 2018, ‘The Theory of Everything’ star Felicity Jones pictured in the gently blowing fields of the British countryside by Laura Pannack.